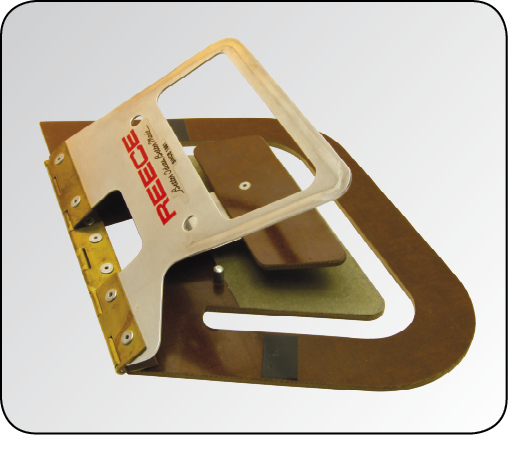 AMF Reece pioneered template stitching in the 1960s, and the Autojig system remains the unchallenged world leader for assembling garment components ranging in size from pocket flaps to topcoat foreparts.The Autotrack is a Special device for manufacturing your own stitching templates for AMF Reece Autojig machines. 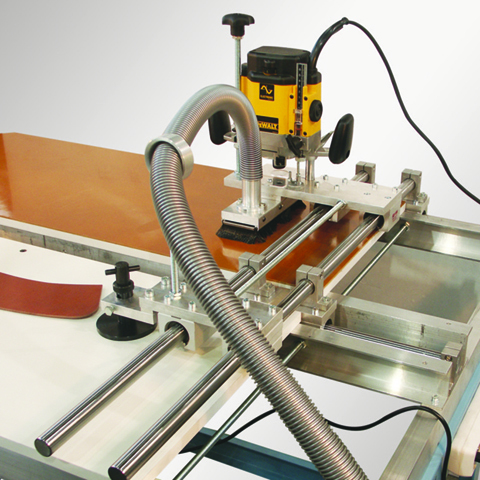 84-78 Autotrak enables Autojig system users to maintain full control over template cost and delivery time with easy on-site manufacturing of stitching templates. 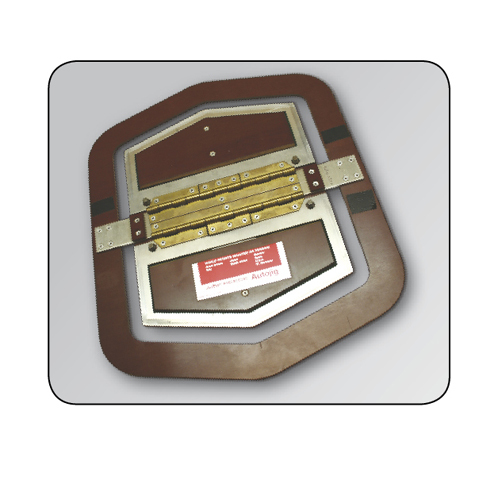 The system produces robust, accurate stitching templates (jigs) of proven durability for small or large scale production of precision-made garment components ranging from pocket flaps to jacket foreparts. 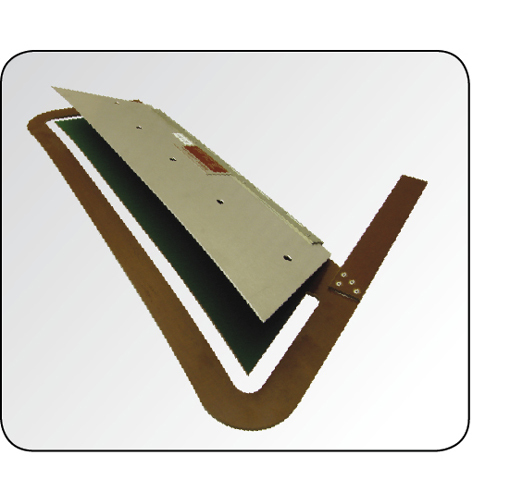 Stitching templates may be either of the proven AMF Reece construction, using phenolic resin sheet material and conventional hinges or, for short production runs, the template may be cut in a single operation from pre-manufactured plastic-hinged Autotrak ‘blanks’. 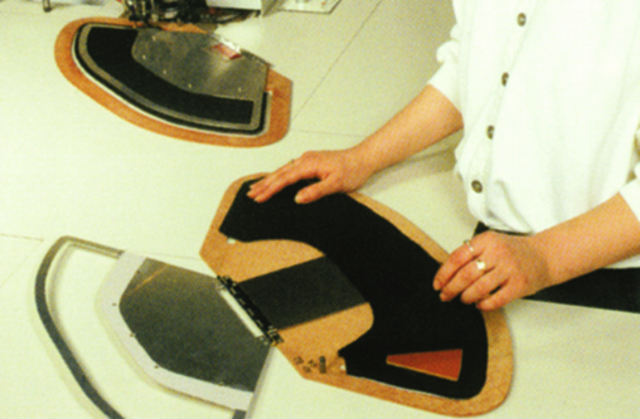 A cardboard ‘master’ pattern is first prepared manually, corresponding to the stitch-line of the required component. This is then used to guide the Autotrak router in cutting the guide-track and driving-track of the actual stitching template. Description: No jig material is supplied with this version. 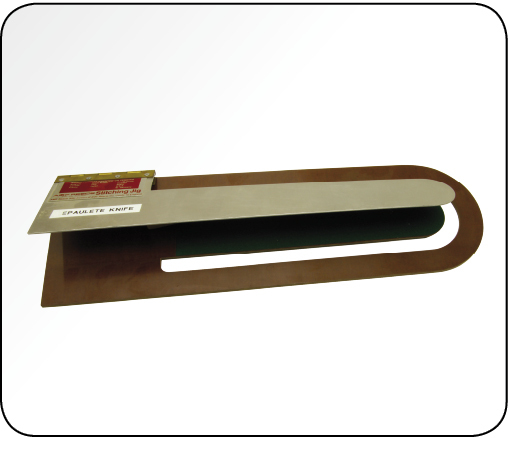 You can contact the spare parts department to procure materials that are used in making of jigs. Description: Certain quantities of tufnol, sheet aluminium, green base, and hinges are included with the machine allowing the user to start making templates immediately. Additionally, the machine is supplied with small tools such as a drill required to assemble jigs.